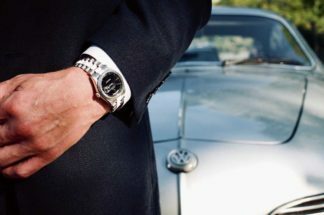 In a recent conversation with Paul Altieri, of bobswatches.com, Revolution asked Paul to tell us about a vintage Rolex that he considers to hold great historical significance for the crown and yet remains unknown by most. The following is a transcript from that brief exchange, where Paul tells us about his personal 1959 Rolex Submariner reference 5512 with square crown guards. Enjoy. One of my favorite watches is what I would call a “sleeper” — a watch that only the most sophisticated would truly appreciate: My 1959 Rolex Submariner reference 5512 with square crown guards. The watch found me through my company, Bob’s Watches, and I bought it from the original owner, a retired Sergeant in the United States Army. The gentleman wore it throughout his service, but, amazingly, had not had the watch serviced. As standard practice, watchmakers would polish a watch like this, blurring the sharp chamfered edges on the sides of the case and crown guard, and often replace parts like the hands with newer, brighter-glowing hands and a faded original bezel insert, like the one on this watch, with a more modern black one. 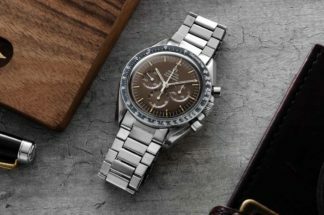 In some cases, Rolex would even replace the dial with a newer dial, severely hurting the value of a watch to a collector. This watch is important because it is one of the earliest Submariners with crown guards — the pieces of metal that would surround the sides of the crown and protect it from damage, if one was to accidentally hit it against a sharp object, such as a piece of industrial or military equipment. That impact could cause the thin metal stem inside the watch attached to the crown to break, which would mean that you’d no longer be able to set the time and, as well as, the water resistance of the watch becomes compromised. 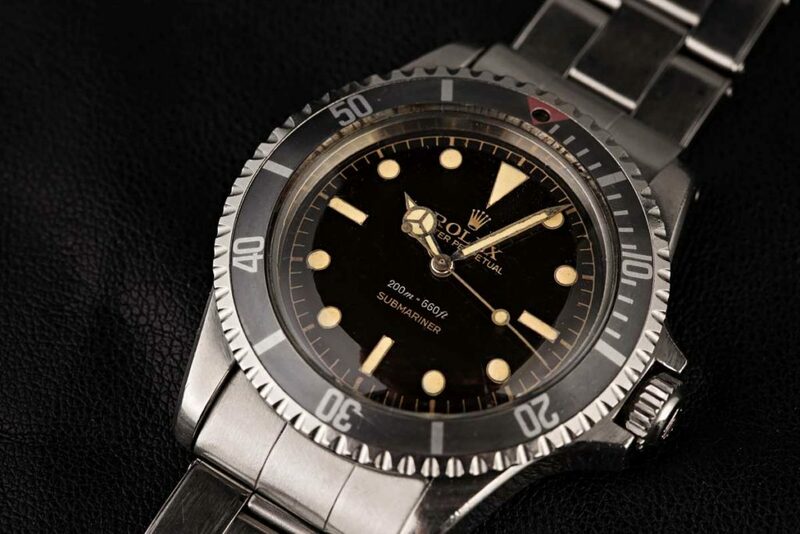 The addition of crown guards was something Rolex saw was necessary after overserving such damage on earlier Submariner references, such as the 6200, 6204, 6205,6536 (and 6536/1) and 6538. None of these had crown guards. Some of these references had crowns that were bigger and yet others were smaller. These we commonly classify as the Small Crown Submariners and Big Crown Submariners. You’ll see that in some places the Big Crown Submariners even referred to as the James Bond Submariner, because Sean Connery, as James Bond, wore a Big Crown Submariner in the 1962 installment: Dr. No. While collectors new to vintage Rolex quickly learn to identify a Submariner without crown guards, very few people have the opportunity to ever see a Square Crown Guard Submariner. In fact, it is believed Rolex made far less than 100 of them total. It is surmised that Rolex thought the square crown guard shape was too harsh and not the most ergonomic. So, they shaved the shape down to a pointed end, termed the eagle beak, for its appearance and quickly switched production to the pointed version that were seen as more attractive. It is understood that only a few exist with the original bezel insert with red triangle at 12 o’clock and with an unpolished case. In fact, the last one that appeared to be in great condition to come to market appeared at auction at Christie’s in 2013 and sold for approximately $200,000. 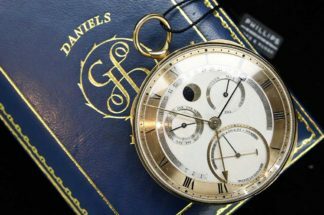 For those truly “in the know” about the extreme nuances of vintage Rolex watches, this is one of my picks for some of the most special and important watches, in terms of both rarity and condition. It is a true “sleeper” in that no one out on the street would likely realize historical significance or appreciate the exceptional nature of the “Square Crown Guard” Submariner model 5512.